The power of Simfund plus distribution data now provides the most powerful and comprehensive strategic-business analysis tool in the industry. It enables fund managers to advance fund flow analysis to more actionably shape distribution strategy by strengthening existing relationships and efficiently identifying new potential distribution partners. Continues to offer hundreds of existing Simfund features. Saves money and increases analyst productivity and effectiveness by using one data source rather than multiple. 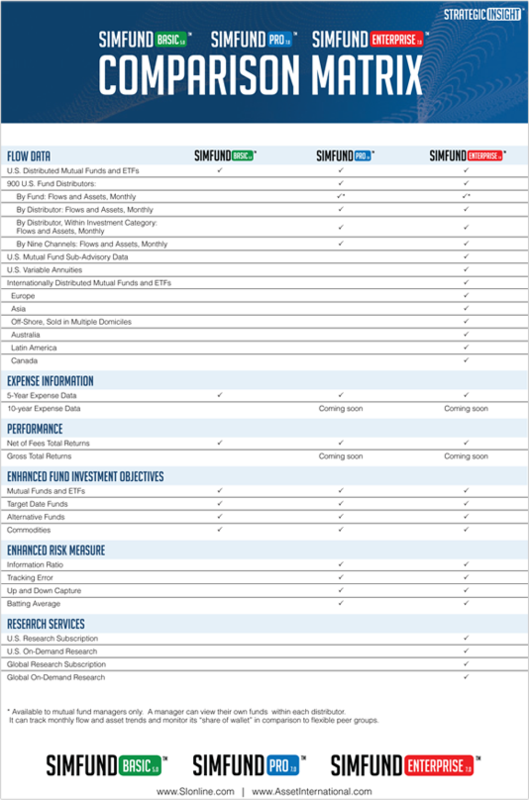 Informs which distributors show strong demand within investment categories where your firm has successful funds. Creates a greater understanding of the distribution channels and distributors that are growing.